The Dream Downtown is the new home for CMJ this year — and with its hip atmosphere and beautiful architecture, it’s no wonder the venue was chosen. 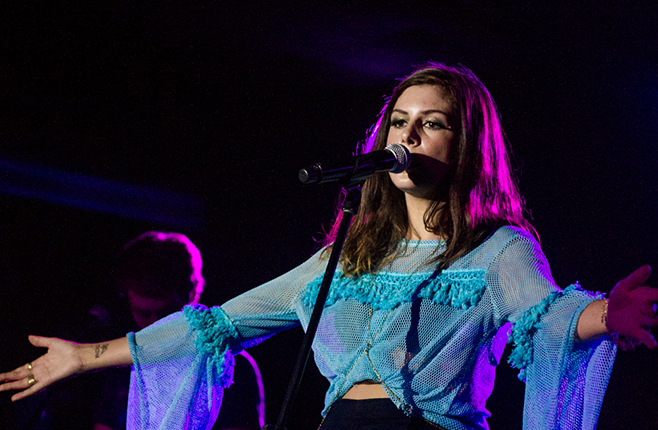 During the day, the Dream was the main location for panels and discussions about the music industry, in between which the Sounds of Australia shared some of their national treasures for a few quick performances. On Wednesday afternoon, Safia, an electronic indie band from Canberra, Australia, played “Embracing Me” live to a crowd of mostly students. Safia’s sound is lively and fun, much like their on-stage energy. The next afternoon’s act was Australian hip-hop artist Tuka. With three studio albums in his repertoire, he’s quickly selling out the Australian leg of his tour. 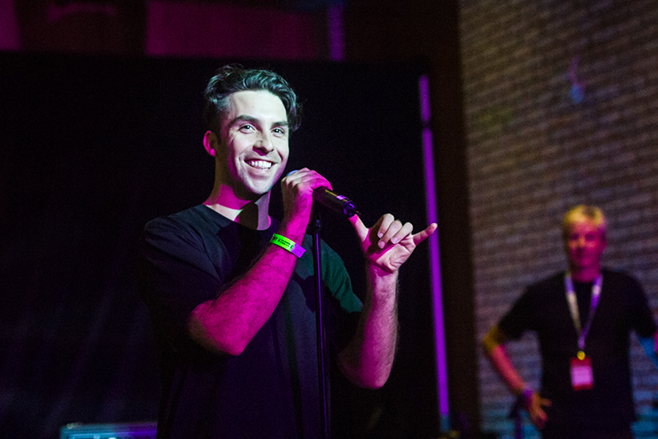 Tuka makes a dark blend of hip-hop and indie, which many audience members found rather intriguing, circling his name in the program for a later listen — undoubtedly an artist worth looking into. As the daytime programs came to an end, the evening showcases started to kick off. The first showcase was held at the Mercury Lounge. The night started off with LA-based Frankie, who took the audience by surprise with her dancing and singing to 70s-inspired beats. 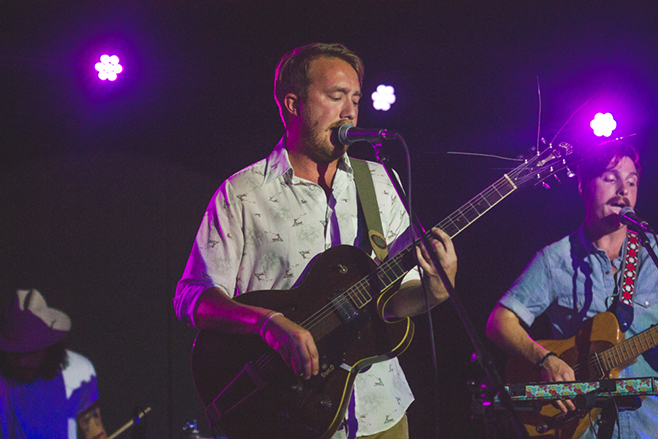 Following Frankie’s upbeat energy, Bird Dog, another LA act, took the stage. This five-piece plays music inspired by a range of genres, from American and Irish folk to 60s R&B. While Bird Dog were on the much calmer side of things, their performance was nothing short of wonderful. 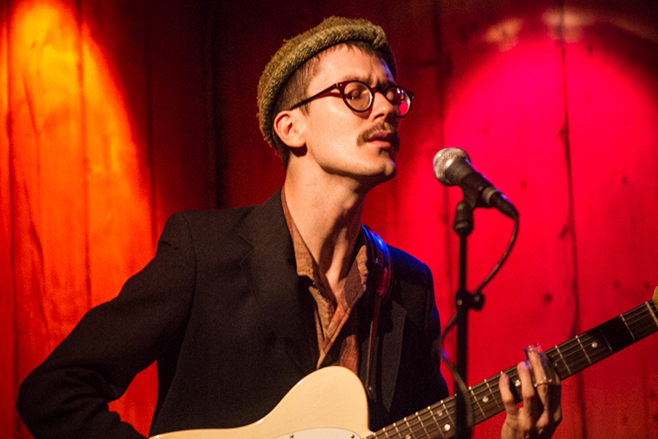 Over at the Rockwood Music Hall, The Deli Magazine had a roots/soul showcase in the works. 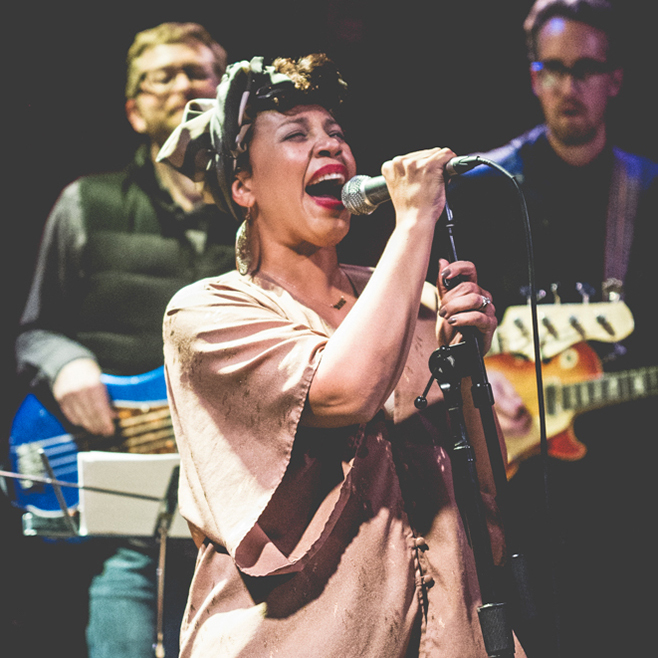 As the doors swung open, you could hear Shayna Steele‘s soulful vocals feeling the room. Steele has a background in Broadway, which became more and more obvious throughout her set — this woman can sing, and she sings with breadth and volume. The Rooks, another soul/R&B band from NYC, was the next to take the stage for another solid vocal set fronted by Garth Taylor. Having released their Wires EP fairly recently, the Rooks are still fresh off the press, and their cover of Sam Smith and Disclosure’s hit “Latch” was definitely a high point of the night. Out at the back and down flight of stairs, Buck Meek was playing a show to a more intimate crowd in a small room. Leaning on candlelit tables, the muted audience was obviously soaking in the romance as the night neared its end — a lovely note to end a Wednesday night on.